Amboy is a two-font family. Amboy Inline and Amboy Black. The Black font will work on it's own, but it’s carefully tailorerd to fit behind the Inline to add color. 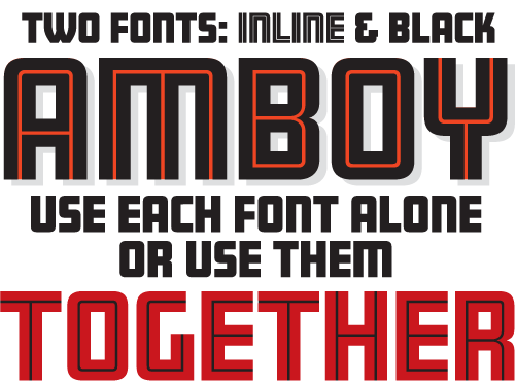 Amboy is an inlined square gothic style typical of mid-20th century Showcard lettering. Samples similar to this still exist on walls of buildings in my home town, Oakland, California.